Ace Hardware Corporation is a hardware retailers’ cooperative that focuses on providing items such as lawn and garden tools, paint, niche services and other items related to repairing, fixing and maintaining your home. It all started with four entrepreneurs Oscar Fisher, Frank Burke, Richard Hesse, and E. Gunnard Linquist who merged their hardware stores to increase profits and buying capacity. This merger — the “Ace Stores” — opened its premier warehouse a year after. The company has stores in over 5,000 locations worldwide and has more than 86,000 employees. It has distribution centers not only in the United States but also in countries such as Panama, China, and the United Arab Emirates. Company employees receive healthcare packages that include medical coverage, dental and life insurance. They are given 401(k) plans, paid vacation leaves and holidays. Students can also receive tuition reimbursement packages from the company. Employees love the health benefits that also cover their family members and allows flexible work schedules that allow them to attend to other important tasks while fulfilling their jobs. Fun activities are also held so employees can relax and enjoy. 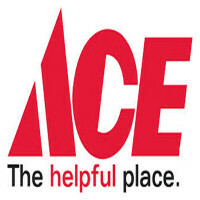 All jobs posted by Ace Hardware require applicants to be 18 years old or above. Not meeting this age requirement means ineligibility for employment, regardless of the position you’re applying for. There are numerous opportunities for aspiring Ace Hardware employees. Job openings are mostly focused on their Distribution Centers and Retail Stores. Full-time and part-time entry level jobs are available — just check which among the posts fit your skills the most. Sales Associates: Sales Associates are in charge of answering customers’ queries and guides them to the appropriate items they’re looking for. They should make clients feel comfortable while browsing and buying items, as well as ensure client satisfaction with the items they purchased. Cashier: Cashiers’ tasks include manning the counter and taking customers’ payments. They also help in assisting customers, operating cash registers, and organizing work stations. They ensure the accuracy of the contents that are brought in and taken out of the register. Assistant Store Manager: The Assistant Store Manager helps the Store Manager in running the premises, whether through ordering inventory, generating reports or responding to customer complaints. If necessary, s/he may also help in hiring and training new employees as well as monitor new sales associates’ progress. Store Manager: The Store Manager oversees the business operations and manages the team’s performance. S/he makes sure that everything is systematic and well-organized, and uses leadership skills to promote better performance. S/he also handles escalated customer complaints and may help adjust schedules to achieve efficiency. Warehouse Specialist: A Warehouse Specialist requires effective sales skills especially in assisting customers. S/he also helps stock merchandise, straighten shelves and even do cashiers’ work during rush hours. The Warehouse Specialist should be capable of lifting, bending, and carrying products in the store’s fast-paced environment. Retail Sales Representative: The Retail Sales Representative represents the company (and all its products), understands the store’s system well, and basically acts as the “face” of the company. S/he should also possess comprehensive product knowledge and use their communication skills in product demonstrations. Inventory Control Analyst: The Inventory Control Analyst is in charge of the implementation and execution of systems, policies and procedures involved in the inventory process. S/he identifies any deficiencies and provides necessary recommendations to the company, and also makes sure that the product supplies are enough to meet customer demands. Replenishment Planner: The Replenishment Planner’s tasks include setting up items, refilling raw materials, and demand and production planning. S/he is also in charge of planning market demand by using market intelligence. Other duties may also include trade-offs between the inventory and product life cycle management. Delivery Driver: The Delivery Driver is in charge of driving tractor trailers and transporting them to retail customers, as well as unload the truck’s contents. He ensures all contents are safely secured as items are being moved from one place to another. Loss Prevention Officer: The Loss Prevention Officer covers safety and security and makes sure company policies are being fulfilled. S/he also controls visitors’ and associates’ assets, as well as keep a visitors’ log. S/he also knows how to use diplomacy in dealing with difficult situations. The application process is quite simple. You just have to fill out forms and provide the necessary information, and pass the interview to finally be a part of the company. Aspiring employees can either apply online and wait for the interview notification or hand over their printed application forms to the store they’re applying for. Applicants are recommended to visit the store to ask about open positions. Be sure, however, that your application form contains only accurate and up-to-date information before handing it over. Applying for the company’s entry-level jobs won’t require a long list — or even a single entry — for your work history. Still, adding details on relevant experiences in your resume would definitely help. Interview requests can be sent as early as a few days or up to two weeks. Applicants can send emails or call stores directly to ask about their application status and express their desire to work for the company. Ace Hardware is a professional yet friendly corporation. Employees call it a “fun workplace” with their flexible schedule, business casual attire, and open office setting. The management implements rules without being too strict while maintaining positive energy. The company recognized its local stores and gave some of them the title “Coolest Hardware Stores” for exerting their best efforts in giving their customers and the rest of the community exemplary service. The company is known for giving value to not only their customers but also to their employees. When the employees perform and do their best, the company never forgets to reward them to show appreciation for a job well done. Ace Hardware also makes sure to give back by establishing the Ace Foundation in collaboration with Children’s Miracle Network Hospitals. The company also supports the American Red Cross by providing products and volunteer services. 1 How old do you have to be to work at Ace Hardware?